Greetings from the Kohlhofer family. 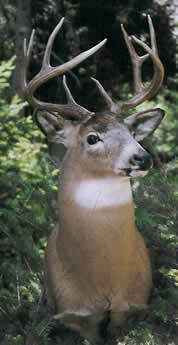 We are the proud new owners of Selway Archery Products. This would not have been possible without the 25 year freindship with Gordy Mickens. For more info please go to our contact page. 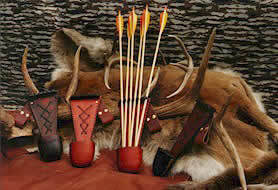 Selway Quivers were designed to fit on all Traditional Bow's, recurve's as well as longbow's. Some of the quivers will work on self bows. There are a variety of different bows on the market today and we have tried to produce quivers that will work on all Traditional Bows. The Rawhide version of our quiver line is all hand stitched and hand dyed which produces a one of a kind custom quiver. The Soft-Koat version is designed to be a non-glare soft to the touch molded hood. The Soft-Koat Quiver's in Quick Detach, Slide-on versions work well on Traditional recurves or longbows. 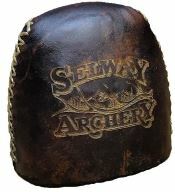 Selway Archery Products was started in the late 1980's under the name Selway Archery, Gordy Mickens founder, and has introduced a variety of different items for Traditional Archery since inception. As you scan through our website looking at the different product designs, it should answer any questions you might have. However we are always glad to answer any of your questions personally by phone or email. Custom engraving is available on newly purchased quivers. Starting at $20.00. This latest design is Great for any Traditional Bowhunter or Traditional Archer. It can be attached to virtually any Traditional Bow. What is really nice about this new quiver is that it can be adapted to go on left or right hand bows. You can switch this quiver from one bow to another in a flash! To see just how easily they attach, watch the Strap-on installation video. Follow the more info link below.